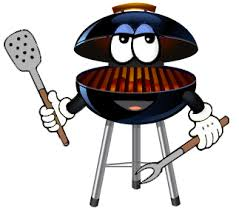 The grill is the key to a fantastic backyard barbeque so when it’s not working properly your summer fun can quickly be halted. Here are a few tips to get your barbecue back to complete grilling function. 1. Clean out the grill rack, wiping away all the grease. 2. Empty out the inside of the grill after removing the top to clean any grilling build up. 3. Check the inside of the grill to see if any of the parts are acting up. If any parts are malfunctioning, visit http://www.letstalkparts.com/ for amazing grill parts.